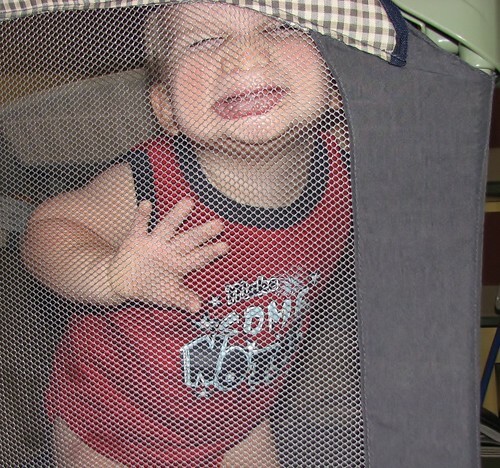 Why someone would beg his mama to put him in his "time out" pack-n-play I have no idea. But he sure knows how to have a good time in there. 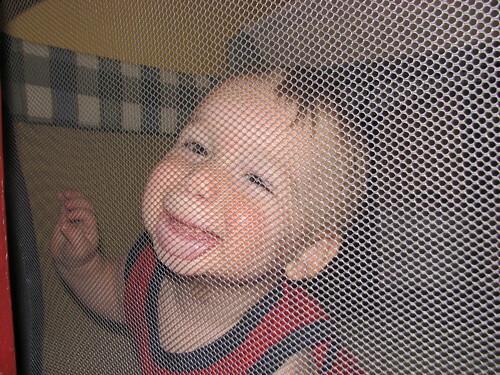 Apparently when the pack-n-play is not serving as a jail cell, it can be a lot of fun!